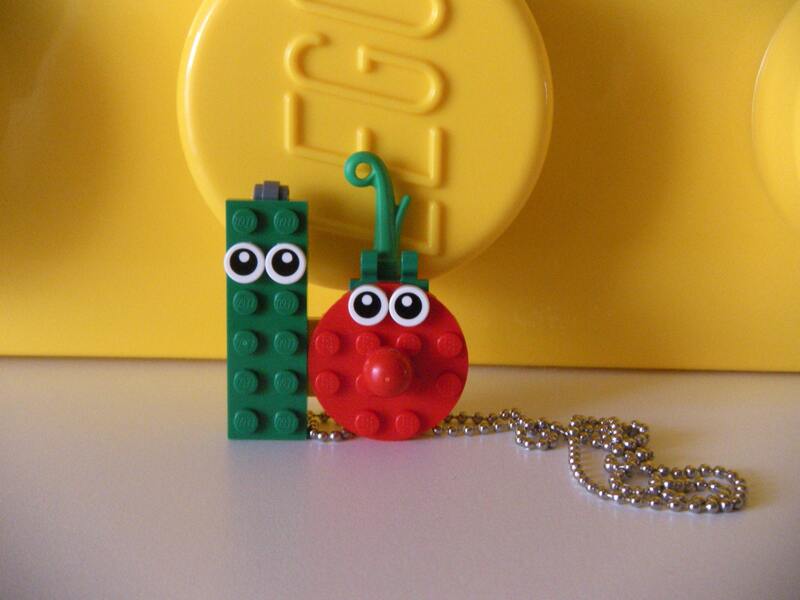 Larry is usually the main character in the stories. 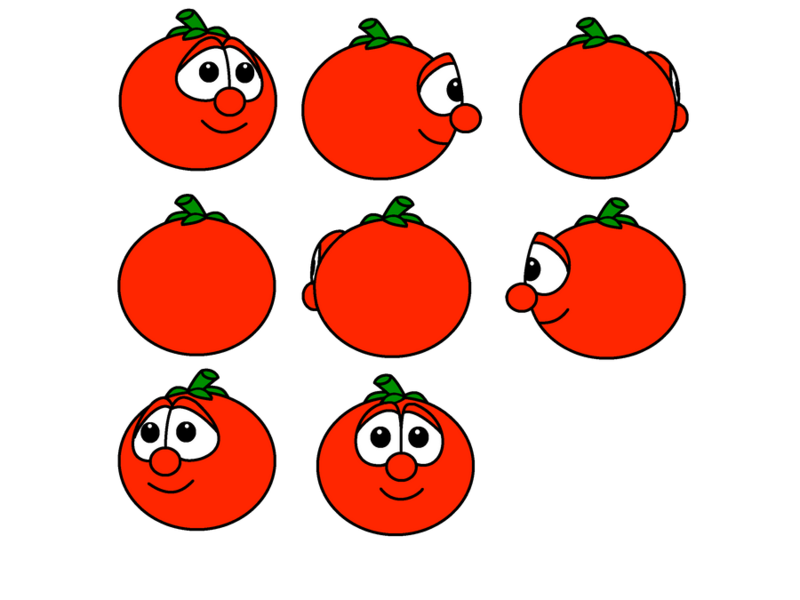 He is also the one with most problems, but then he solves them in the end. 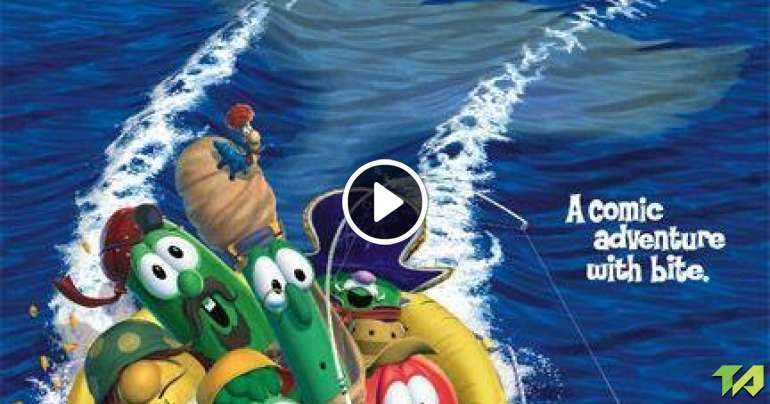 Larry plays the tuba in the theme song. 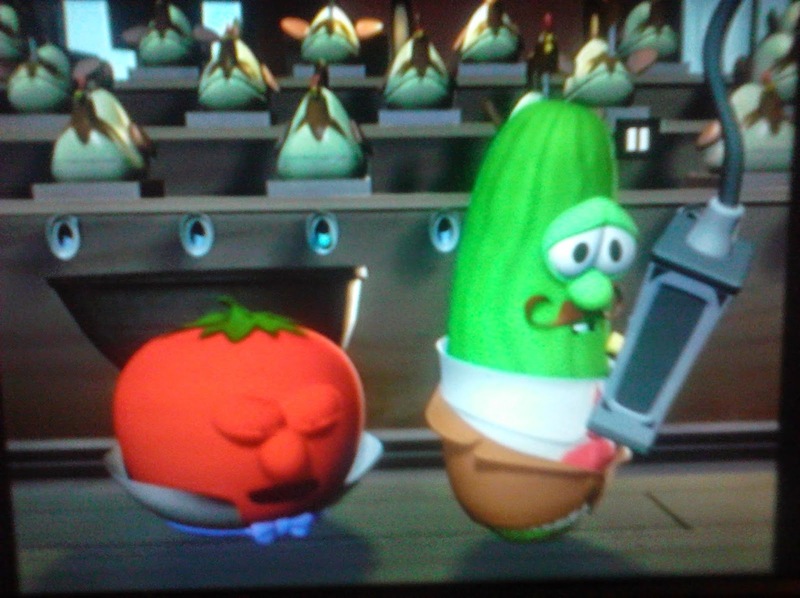 In the original theme song, Larry refuses to play. but decides to play. 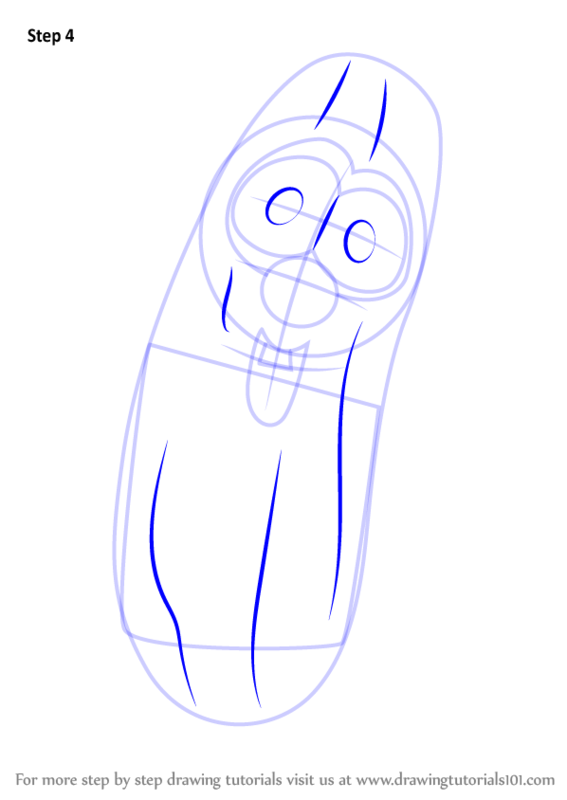 In the original version, his tuba is shiny and a bronze color; in the new version it is plain yellow. 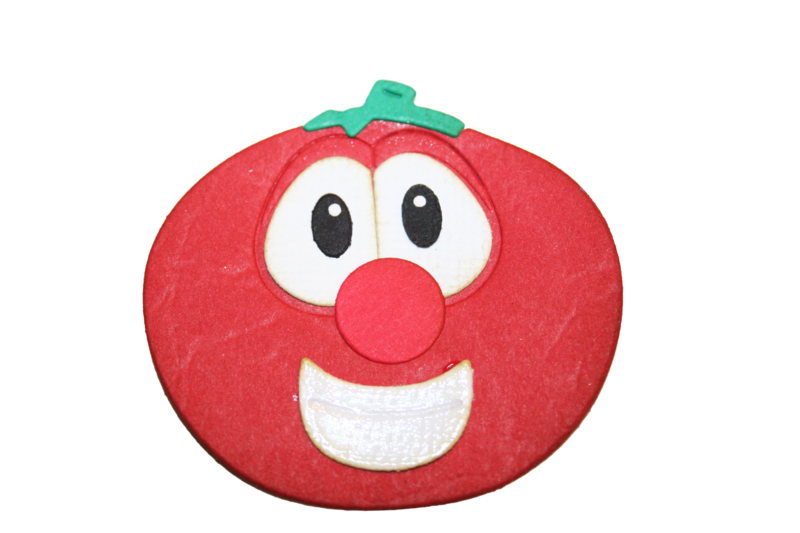 Bob the Tomato is the host of the VeggieTales show. 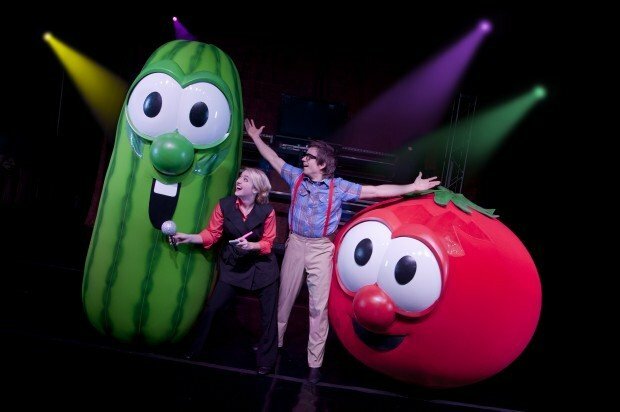 He hosts the show along with Larry the Cucumber . 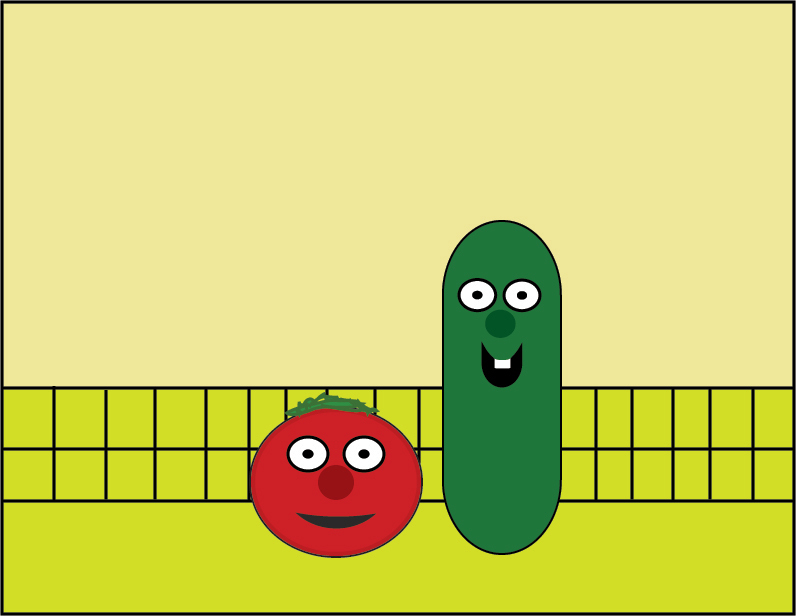 They tell Biblical stories together on a stage-like kitchen counter, along with computer, Qwerty , who gives them a Bible quote Bob sometimes is a little annoyed about Larry when he's goofing off, but soon later ignores it. 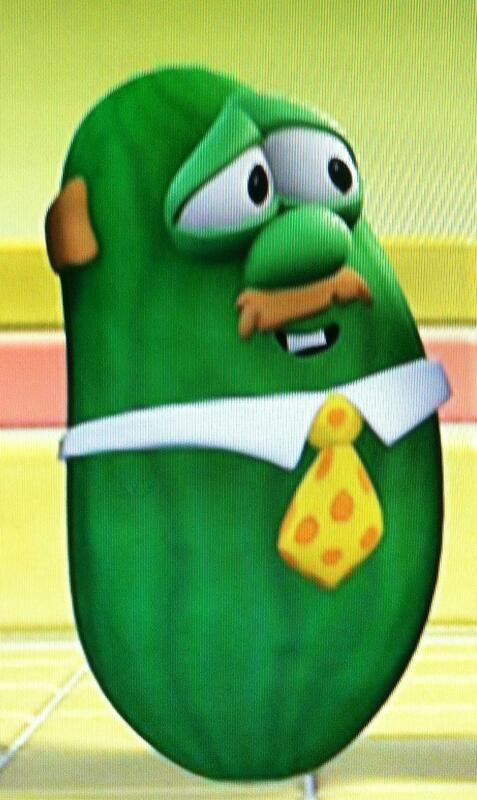 Larry the Cucumber is, as his name implies, a cucumber. 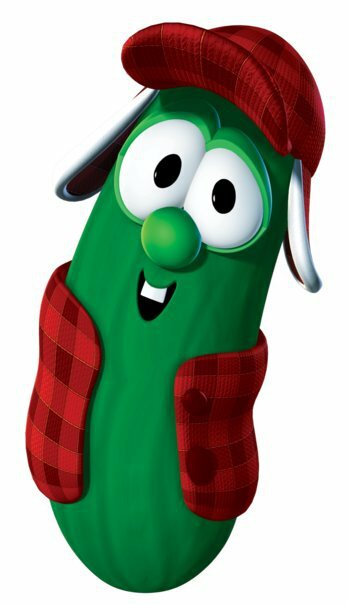 He is Bob 's best friend, and one of the main protagonists of the series and the tertiary antagonist-turned-anti hero of Jonah: A VeggieTales Movie (ancient only). For many shows he has acted as co-host for the show with Bob, such as Lyle The Kindly Viking and Where's God When I'm S-Scared? . 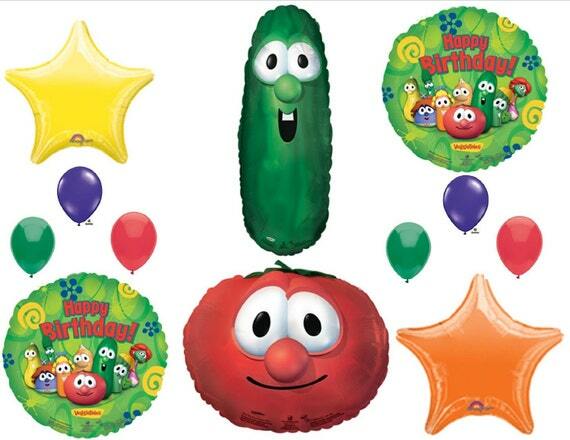 He was replaced as host in Josh and the Big Wall and Abe And The Amazing Promise by Junior Asparagus and in Sumo of the Opera by the little cucumber puppet Lutfi . 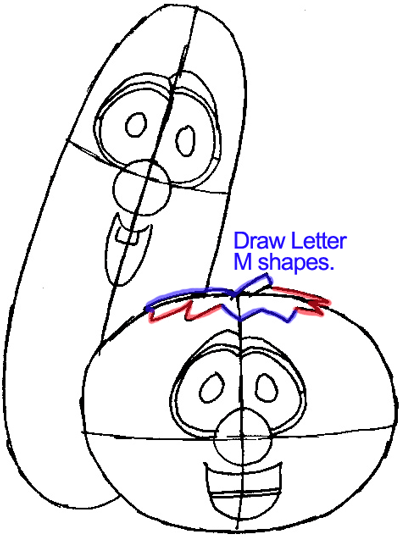 Phil Vischer's voice acting for Bob has taken a slightly higher pitch over the years, although not nearly as significantly as Mike Nawrocki 's changes in voice acting for Larry. 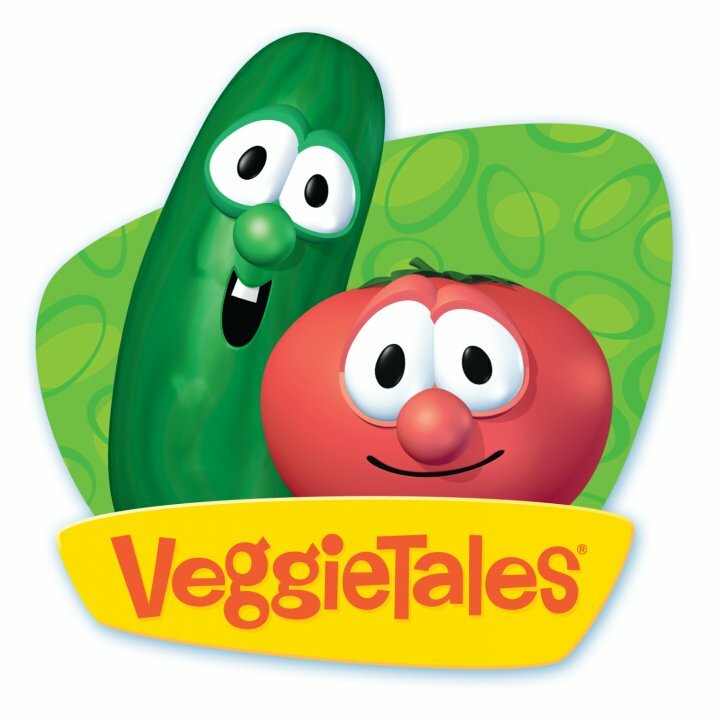 Bob the Cucumber and his associate Larry "the" Tomato were members of the VeggieFables , parodies of the VeggieTales . 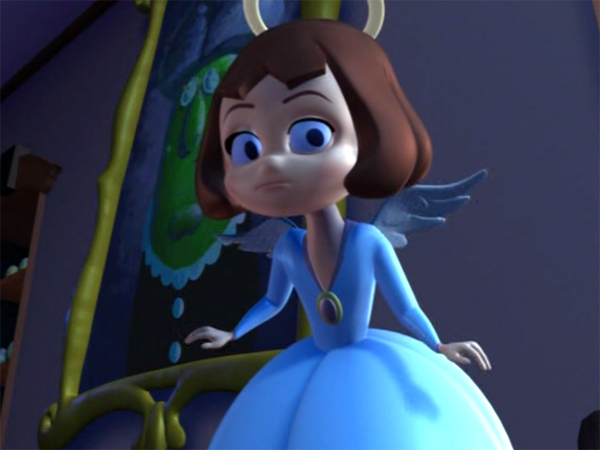 A religious propaganda disguised as a kid show. 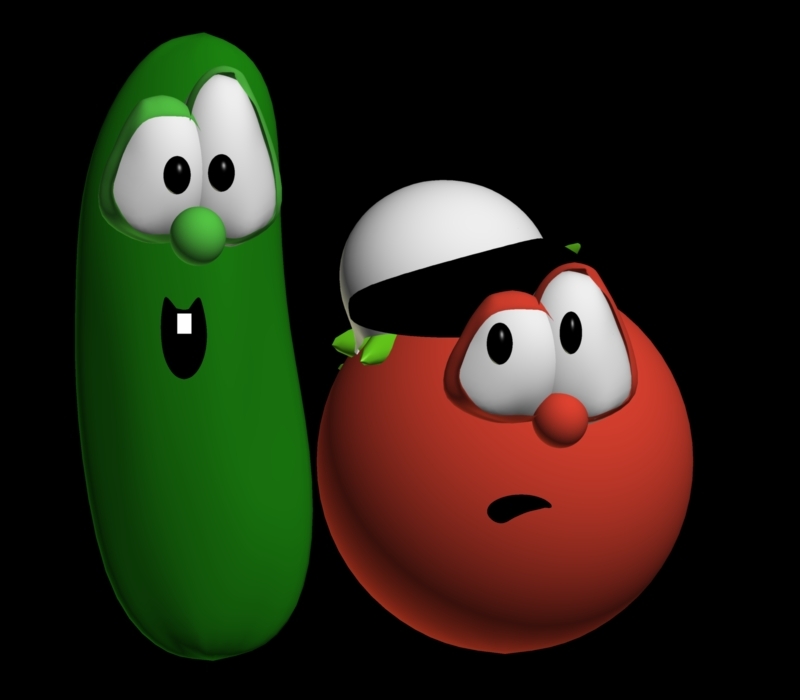 Bob and Larry specifically parodied the two VeggieTales protagonists, Bob the Tomato and Larry the Cucumber -- the names were simply reversed. 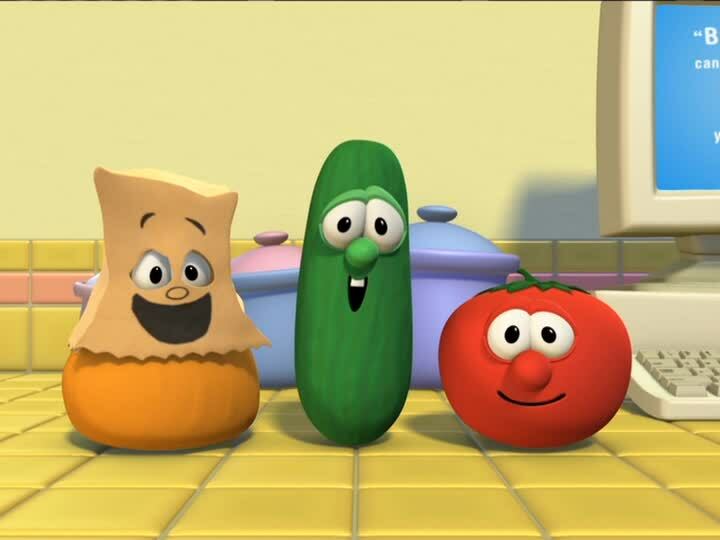 They appeared in the episode Clum Babies . 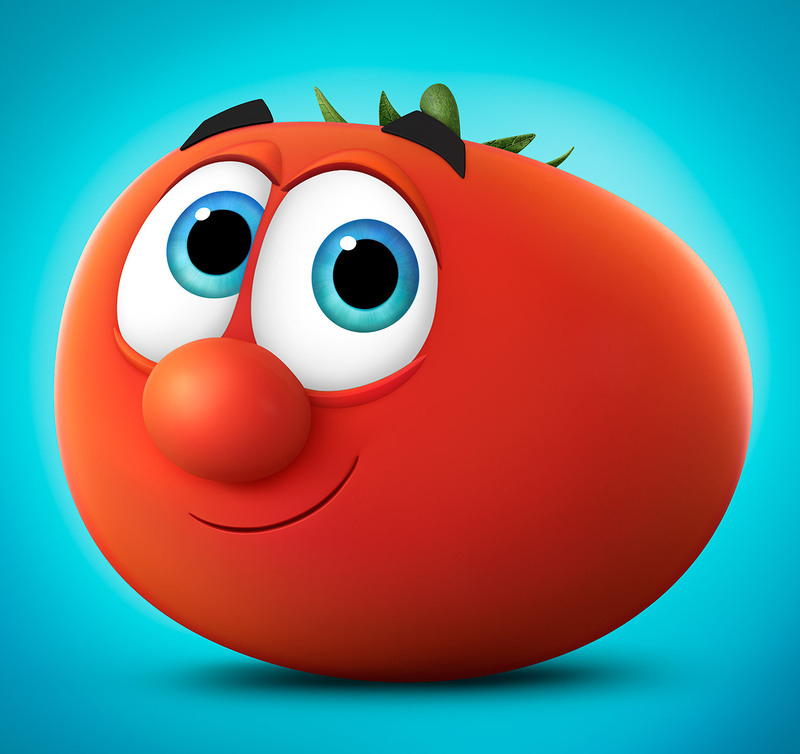 He is voiced by James Arnold Taylor .